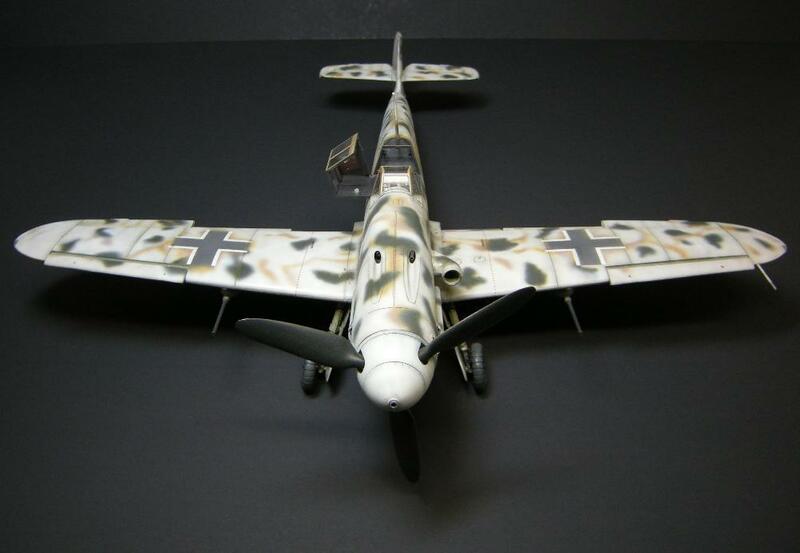 The Bf109G-6 “Hartmann Edition” formed the basis for this model. 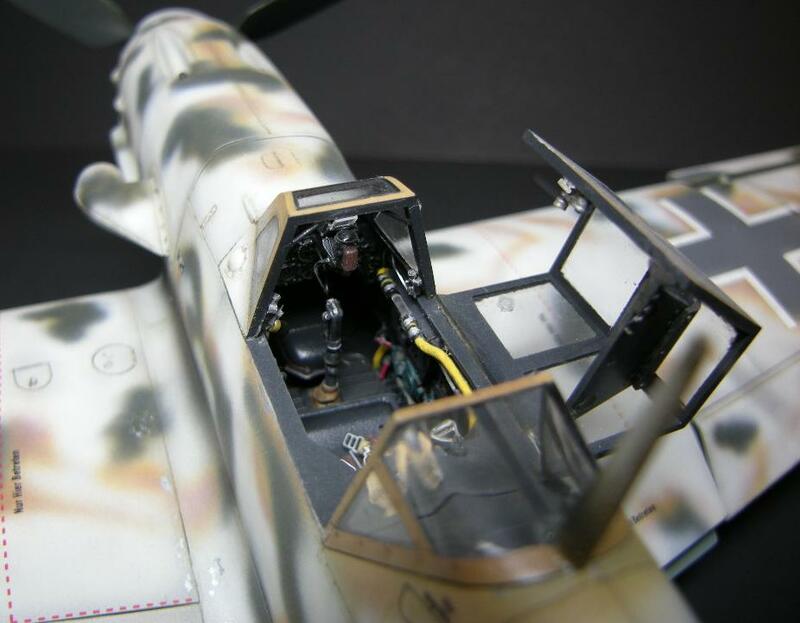 Modifications included an MDC G-2/4 cockpit set, True Details wheels, decals cobbled together from Eagle Strike and Eagle Editions. Tape belts with p/e buckles from the MDC set. Paints used to depict this “built for the Mediterranean and sent to the Russian Front” Kanoneboote were Floquil RLM 78 Hellblau, RLM 80 Sandgelb, RLM 71 Dunkelgrun, RLM 75 Grauviolet for the insignia, and Reefer White for the winter camoflage. 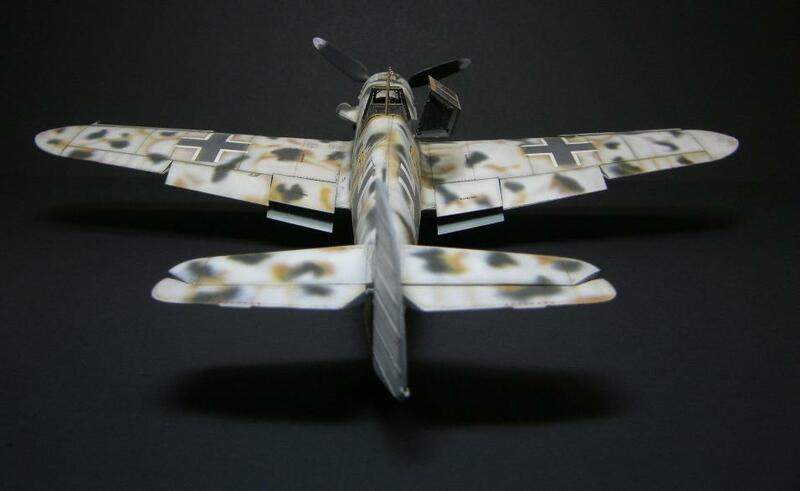 Paint scheme based on a profile created by Kiejtl Aakra, to represent machine flown by Hpt. 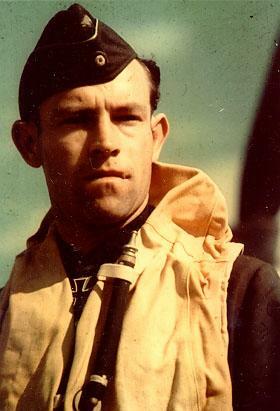 Heinrich Ehrler, Staffelkapitaen of 5./JG-5, while based at Petsamo, Finland in the Spring of 1943. 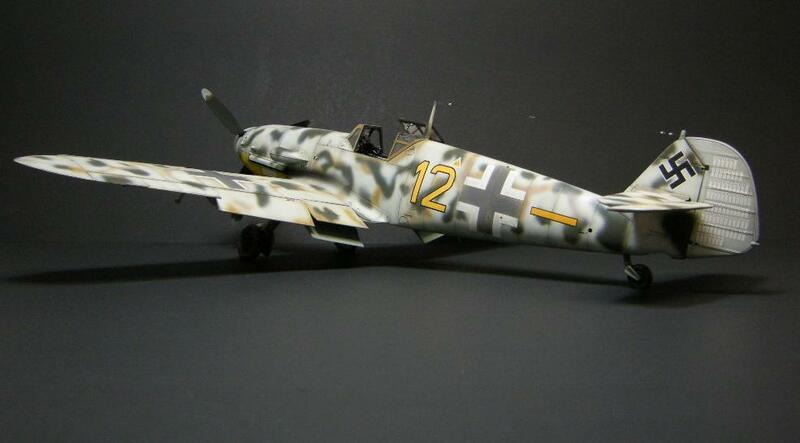 Erik…… Unusual and beautiful scheme makes a cool looking 109. It never ceases to amaze me how many different schemes were applied to aircraft. 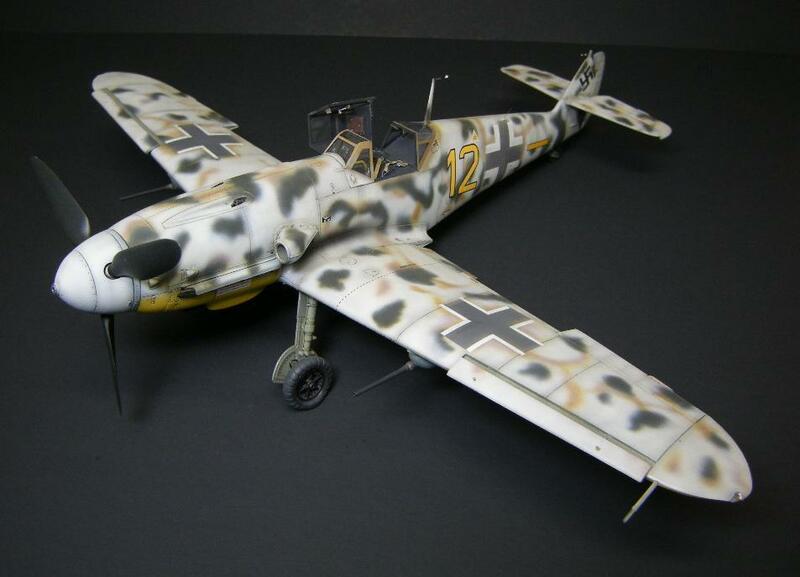 Just when you think there can’t be a new one…………..
Never seen a camo scheme quite like that one….nice work! Such consistency. My right index finger is getting sore clicking through to the last star. 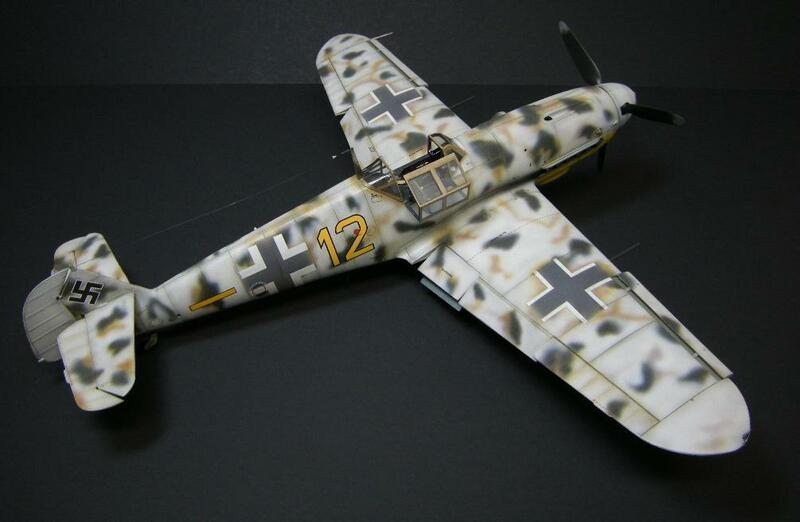 I don’t like Messerschmitts that much, but these are truly excellent models. 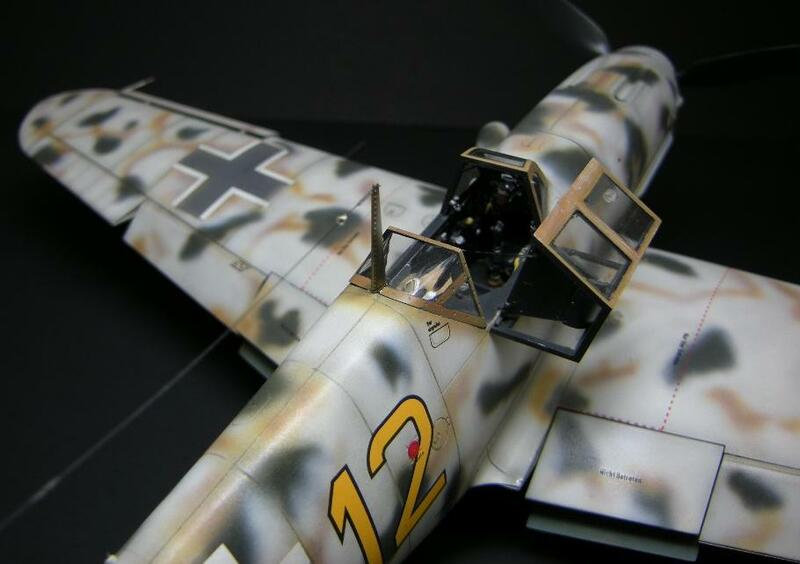 Great scheme on this and all of your 109s! I love the camo scheme! 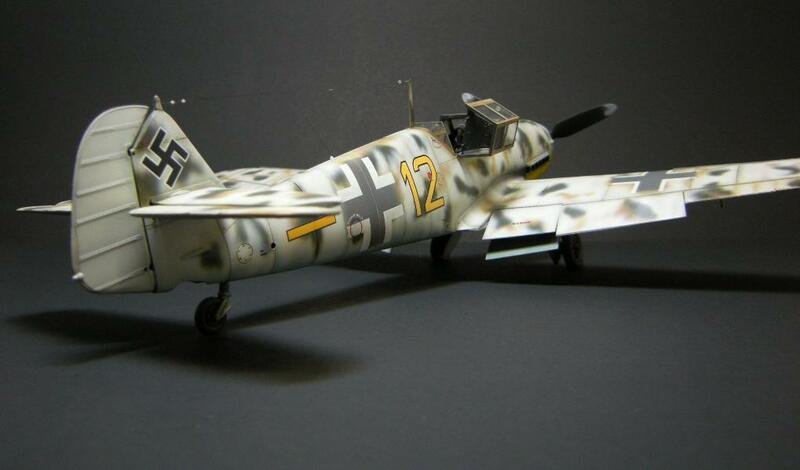 Great looking 109!